Rose, mandarin, black cherry, raspberry, chocolate and … love. Let yourself be inspired by a sweet messenger of love! A good surprise when waking up, the day of Valentine's day, a refined closure for a different lunch, a romantic and beautiful snack or a great effect closure, for a dinner based on love. Valentine's Day is an opportunity for say I love you with small gestures and surprises, but also with sweet and different recipes. 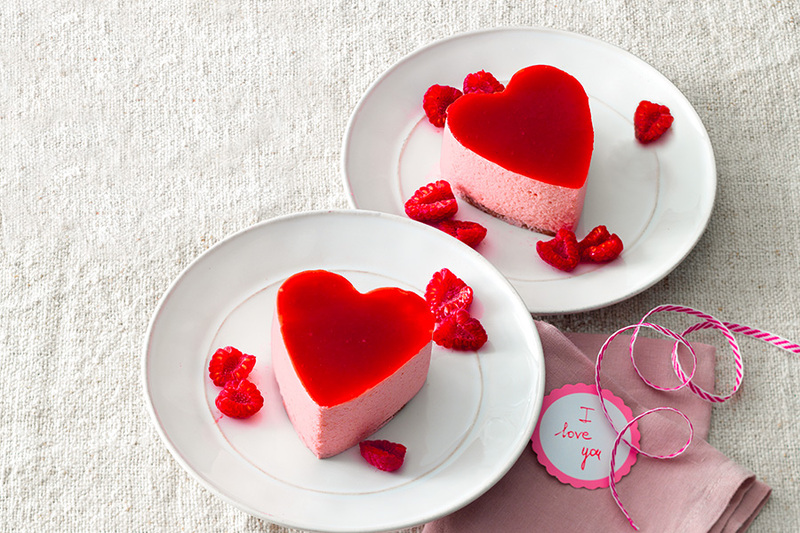 If you do not want to limit yourself to using a heart-shaped mold to prepare the usual dessert, here it is 5 recipes to prepare a sensational dessert on the day of the party of lovers. Follow the recipes step by step and the result will be … a throbbing heart!